Representatives from DRE have been attending Arab Health meetings in Dubai for nearly 20 years, and the event continues to be a key expo for meeting with customers face to face. 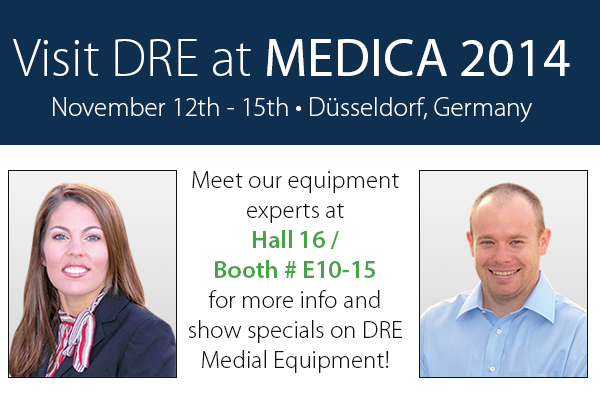 DRE International Account Executives Amanda Cannady and Jasen Hargrove will be joining thousands of medical equipment industry leaders in Düsseldorf, Germany, for MEDICA 2014, one of the world’s largest marketplaces for the international medical device industry. Visit Amanda and Jasen in Hall 16 / E10-15 to learn more about new and refurbished equipment options from DRE. 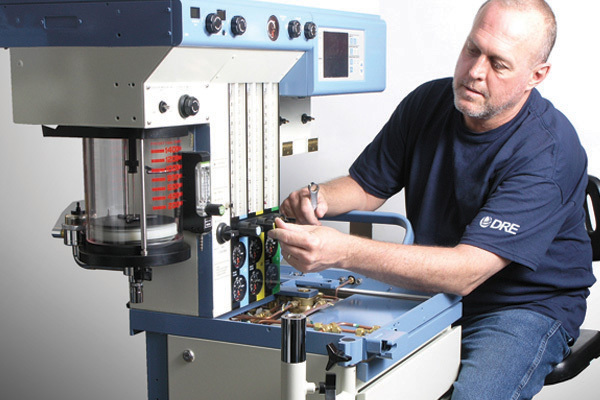 At DRE Medical, we work with customers every day to guide them through shopping for refurbished equipment and to ultimately help them find the perfect pieces for their needs. Matt Spencer is putting his experience to good use as the senior buyer for DRE. He is the primary liaison between vendors, sales staff, and clients. From day to day, he works with hospitals, health care systems and surgery centers to procure excess capital medical equipment. DRE’s International medical equipment consultants Amanda Cannady and Kary VanArsdale will once again be among the thousands of people who travel to Dubai for this year’s Arab Health Expo — the largest medical exhibition and trade show in the Middle East. DRE’s participation in Arab Health started in the early 1990s and it continues to be a key expo for networking and meeting with customers face to face.